UPS raised the bar for the largest Tesla Semi electric truck reservation placement. The 125-unit order by UPS beats the previous high of 100 by PepsiCo. The delivery company expects that the new electric tractors will improve safety and reduce costs of ownership, as well as enable reduction of emissions. It's not known whether UPS selected the 300-mile or 500-mile versions (or some of both), but potential sales are still worth around $20 million ($18.75 million - $22.5 million). "The new tractors will join UPS’s extensive alternative fuel and advanced technology vehicle fleet, comprised of trucks and tractors propelled by electricity, natural gas, propane and other non-traditional fuels." 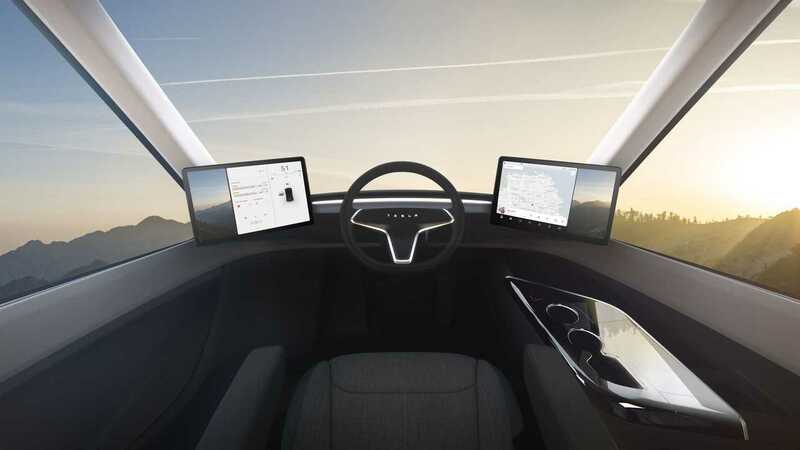 "UPS has provided Tesla real-world UPS trucking lane information as part of the company’s evaluation of the vehicle’s expected performance for the UPS duty cycle. UPS frequently partners with suppliers of emerging vehicle technologies to help them develop solutions that prove ready for stringent UPS use-cases. 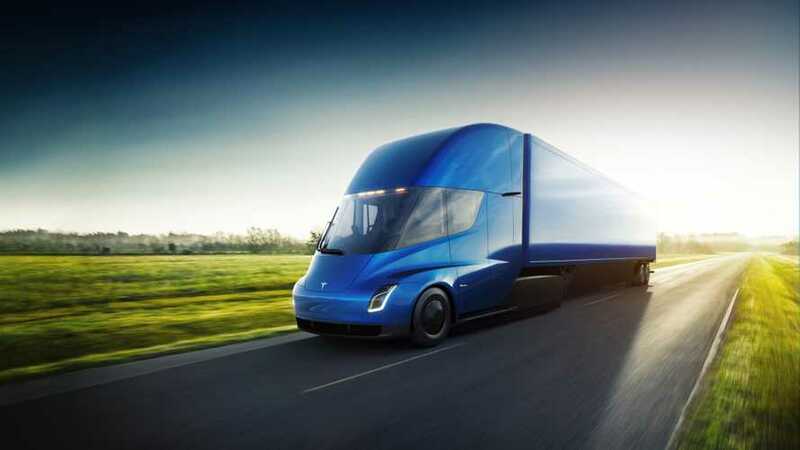 Tesla’s Semi tractor claims up to 500 miles range on a single charge, an unparalleled cabin experience for drivers, enhanced on-road safety and significantly reduced long-term cost of ownership. Safety features include: automatic emergency braking, adaptive cruise control, automated lane guidance, and brake-by-wire and steer-by-wire with redundancy. Tesla’s driver-assistance features have been found by the U.S. government to reduce crash rates by 40%. Tesla expects to begin production of the vehicles in 2019 and UPS will be among the first companies to put the vehicles into use." "UPS’s preorder of Tesla vehicles complements and advances the company’s overall commitment to reduce its absolute greenhouse gas (GHG) emissions from global ground operations 12 percent by 2025, a goal developed using a methodology approved by the Science Based Targets initiative. UPS has established a goal for 25 percent of the electricity it consumes to come from renewable energy sources by 2025. 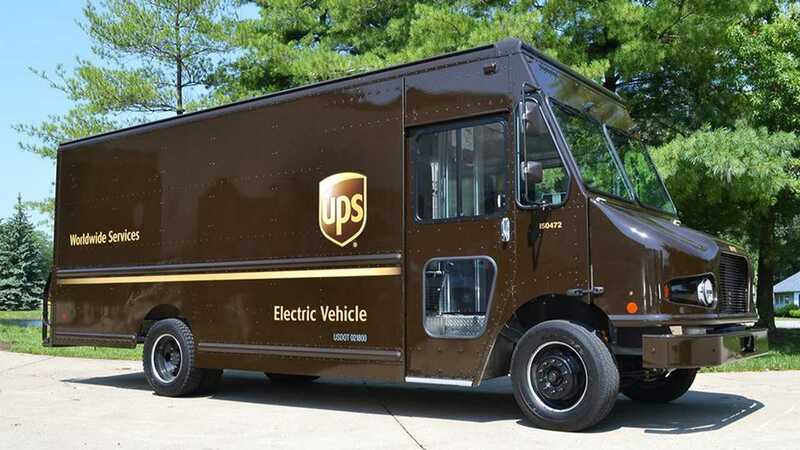 In addition, by 2020 UPS plans that one in four new vehicles purchased annually will be an alternative fuel or advanced technology vehicle, up from 16 percent in 2016. The company also set a new goal that by 2025, 40 percent of all ground fuel will be from sources other than conventional gasoline and diesel, an increase from 19.6 percent in 2016. The company operates one of the largest private alternative fuel and advanced technology fleets in the U.S., and more than 8,500 vehicles throughout the world. This includes all-electric, hybrid electric, hydraulic hybrid, ethanol, compressed natural gas (CNG), liquefied natural gas (LNG), propane, and renewable natural gas (RNG)/biomethane. UPS also operates one of the world’s safest commercial fleets, investing more than $194 million in global health and safety training in 2016. The company continues to install in-vehicle collision mitigation technology for its class 8 fleet. Recently, UPS was recognized among Just Capital’s “Just100,” capturing the top ranking in its industry for environmental commitments and action. UPS has also been named to Dow Jones Sustainability World Index (DJSI World) for the fifth consecutive year and the Dow Jones Sustainability North America Index for the 13th straight year."